Air-O-Fan - History since 1945 - 74 years and counting! 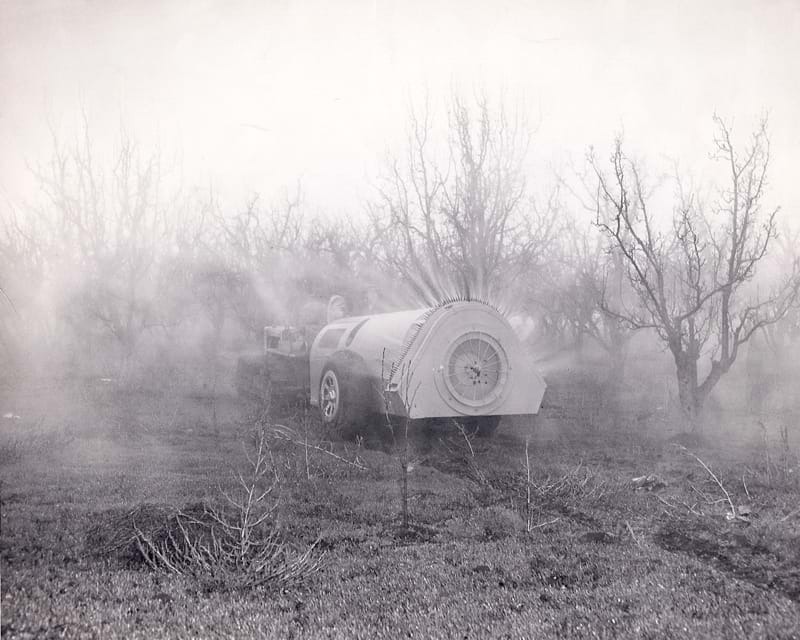 It was 1945 in Gilroy, California, when the first Air-O-Fan sprayers were manufactured and sold to orchard growers in the Santa Clara Valley. Previous to the introduction of Air-O-Fan’s first “Air-Blast” sprayer, most growers applied chemicals by using high-pressure spray guns. This method proved to be time-consuming and labor-intensive as it required three people to apply the chemicals: a tractor driver and one person on each side of the platform to spray the rows. 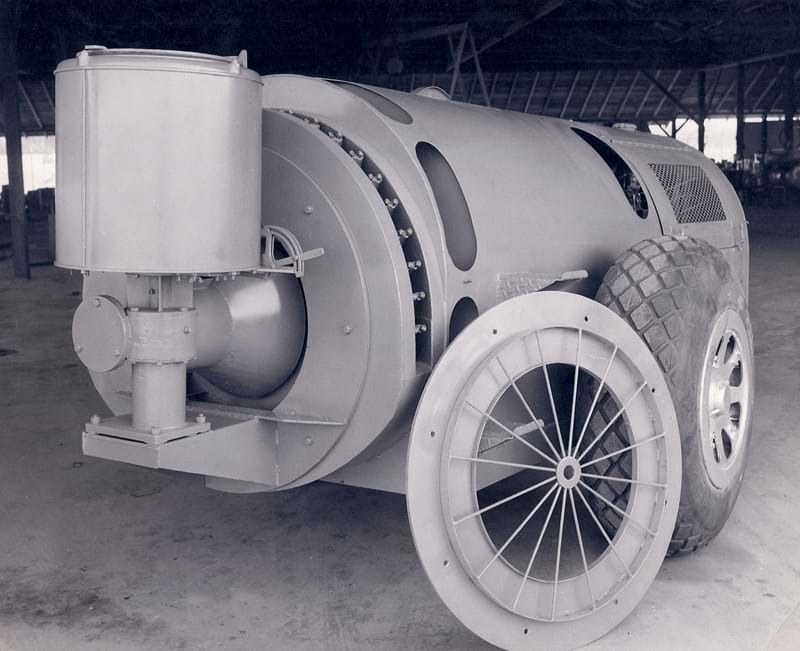 The original Air-O-Fan sprayer featured a 30-inch steel centrifugal fan that was powered by a gasoline Ford flathead V8 engine. 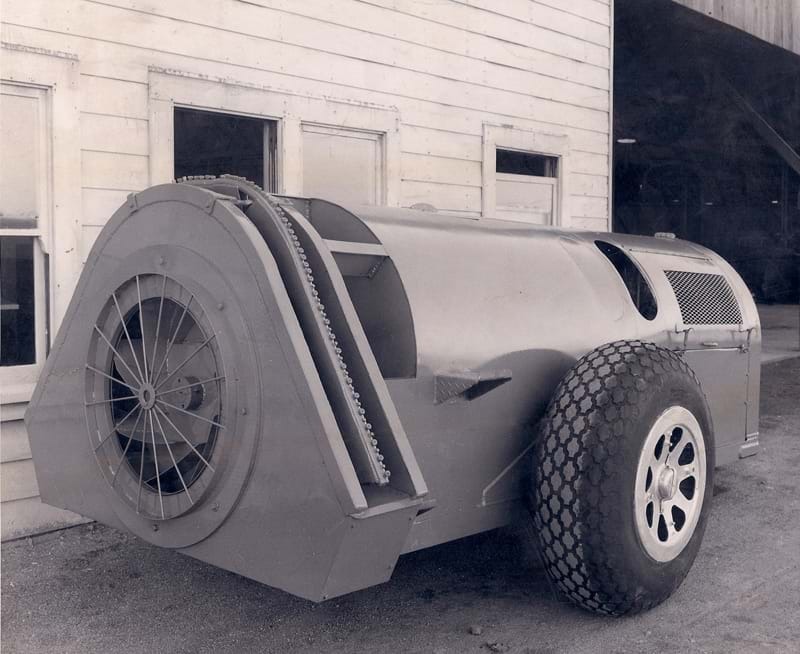 A 500-gallon steel supply tank located between the engine and fan housing made it possible for one person to operate the sprayer from the tractor seat. Spraying time was drastically cut and the use of air to carry the chemical droplets through the tree canopy improved the application’s efficiency far beyond handgun spraying. In 1987, a new, larger factory was built in Dinuba, California, to better serve the growers in California’s Central San Joaquin Valley. The centrally-located facility proved to be a benefit to both the growers and dealer networks throughout California. Its increased size allowed Air-O-Fan to broaden its market base to serve customers on a national and international basis. Although a lot has changed over the past 65 years, the high-quality standards and superior design of the original Air-O-Fan sprayers are still applied today. As a family-owned-and-operated business, today’s Air-O-Fan sprayers include: four John Deere® diesel engine-powered models for orchard application, 14 PTO (Power Take Off) drive air-blast sprayer models for orchard and vineyard spray applications, and a full line of orchard and vineyard herbicide sprayers to keep those harmful weeds under control. Despite the humble, pioneer beginnings in a small California town, the name “Air-O-Fan” is now known by orchard and vineyard growers worldwide as the “Cadillac” of sprayers.